Jenn Turnham > Blog > Jenn Turnham's Words > Can Control = Freedom? Control = Freedom, or is that paradoxical? 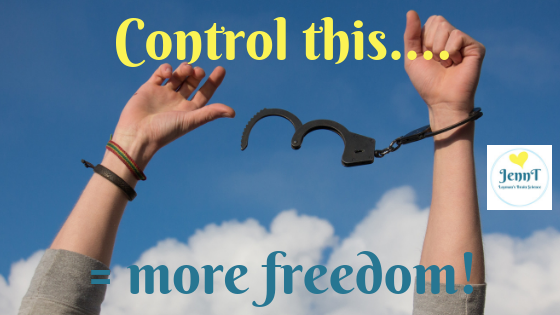 Here’s a thought for you to ponder….. can taking control of what we can control, equate to a greater feeling of FREEDOM in our lives? Does it sound crazy, paradoxical, perfect, impossible…..? Have you done it?? In today’s video, I’m going to show you it IS possible to experience MORE FREEDOM, by exercising control….! Control freaks (like me) will LOVE this… it gives us something to hang onto…. Why this behaviour doesn’t work and how it’s holding you hostage! Shift your focus to to what you CAN control and experience greater freedom!